The NagriCoin project is a subsidiary project developed by Natural Agricultural Technologies (NAgriTech) that aims to aid eco-farmers by providing them with organic and micro element fertilizers for their produce. They have three existing products: Nagri-HL, AgronoMax and GreenaMax. 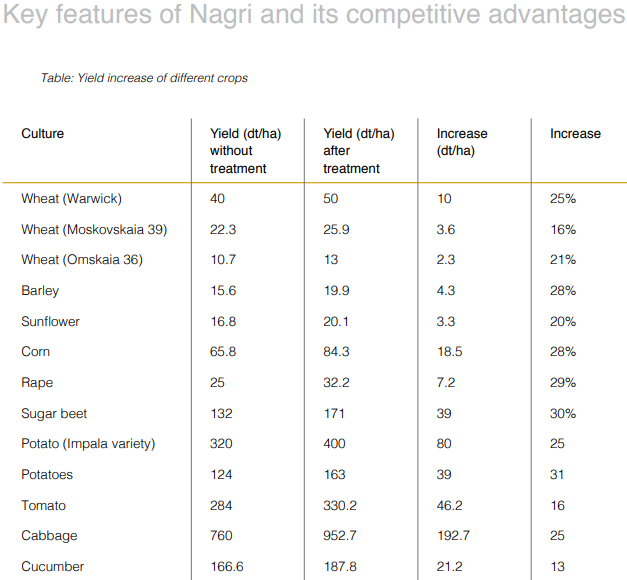 Nagri-HL has already been tested over the past seven years in a number of different countries including Uruguay and the Ukraine and was found to increase plant growth rate and yield by 10 – 30%. Nagri-HL is a non-animal based liquid fertilizer that improves the constitution and resilient of a plant’s root system. By encouraging widespread adoption of this product, the NagriCoin platform hopes to reduce the price of health foods, and to make them more widely accessible. In this way, they will not only enable health food market growth, but also boost global economic growth. 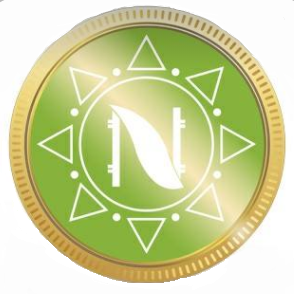 NagriCoin’s NGR token is essentially an investment token, where the value of the token is tied to the success of the venture. This will be discussed in greater detail below. Organic farming is usually time-intensive, meaning that far less produce can be yielded by an organic farm than one that uses hormones and other agents to create GMOs. Specialized organic farming supplements often require the added costs of compatible equipment. Organic plants are usually sensitive to extreme weather conditions. Improves the plants’ absorption of necessary trace elements and minerals. Nagri-HL can be used in conjunction with farming equipment that is already owned. Increases plant durability during droughts. No GMOs and non-toxic to both humans and fauna. The product formula is highly confidential and difficult to replicate. Low operating costs, as it can be diluted with water. Designed to work in conjunction with existing products, not as a competitor. NGR tokens appear to be substitutes for market shares, with the primary difference being that they offer token holders no benefits beyond exchange value. This exchange value will be based on the profits earned by NagriCoin, as the company states that they plan on allocating 20% of their income to balance against their tokens. This will in turn ensure that the market value of the NGR token increases. NagriCoin’s whitepaper states that they will incrementally buy back their tokens from holders at the current market value, thereby ensuring that investors will receive profits from their purchases. Indeed, the whitepaper even provides projected profits to be expected from increased token value.